Hey, what’s up guys and I’m back here with another awesome post of best Android apps in 2018. I will guarantee you , you’ll find some useful apps there. Now let’s jump into the Top 10 Best Android Applications list. Here are the Top 10 Best Android Apps in 2018. First up is Bix Button Remapper – bxActions app. I was annoyed with the fact that you cannot disable Bixby button on the Samsung Galaxy Note 9. 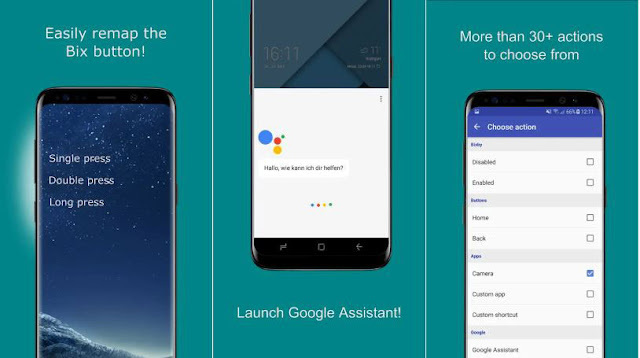 But this app allows you to customize your Bixby button or even disable it. You can assign this button to perform a certain task or launch any app by your wish to setup. I have set it to launch Google assistant and it’s been amazing. It works perfect and smooth. You can use this app to remap your volume keys as well. Plus, the pro version will give you more added options that are worthy. Next one is Tada Time. This is an 3D Avatar Creator, AR Messenger app. Basically, you can create a 3d avatar of yourself and interact with your friends, perform skits with AR character and do a lot of fun stuff with your friends. First, you need to create your avatar using its camera and then move on to customizing it from skin tones to hair, and hair to dresses. Other than customizing your avatar, you can also choose from a bunch of different accents for your avatar. All the accents are categorized into different sections, once you have done, you can record your audio as well and then share it with your friends. Furthermore, you can also chat with your friend right from this app in a more expressive and fun way. 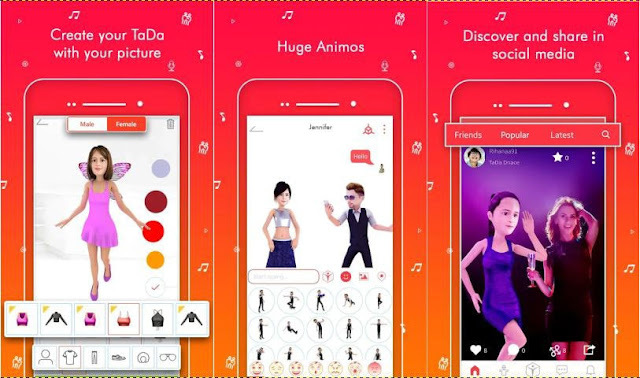 With this avatar creator app, you can perform Skits and share it, you can see a lot of funny skits performed by different people from the Explore tab. All in all, it’s quite a fun app, so definitely give it a try. Next up is Power Shade: Notification Bar Changer & Manager. In simple words, this app lets you customize your notification bar with the aesthetic style look. It’s fast, fluid and smooth, looks really nice and gives a refreshing look to your notification panel. 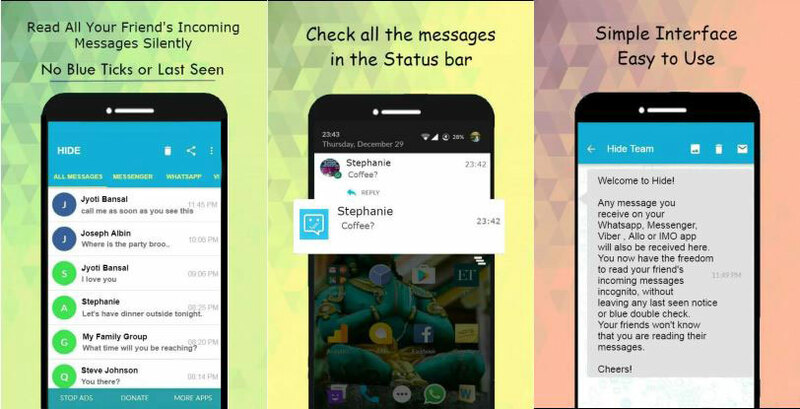 Furthermore, you can customize your notification bar as per your preference, like you can change the color for the background, foreground, enable the transparency, and adjust the blurriness etc. 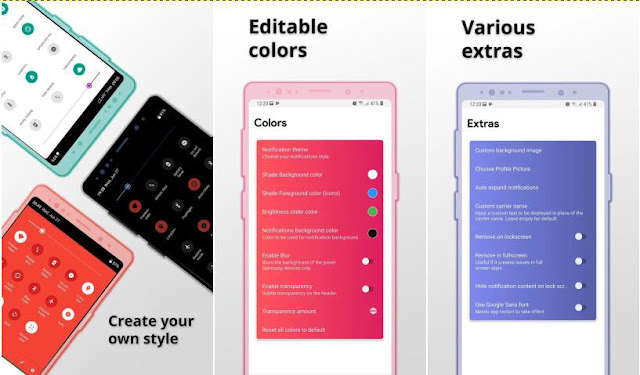 The Pro version of this app will give you extra customization options. Just give this app a shot. Next up is Hide, like incognito mode on browsers, this app works similar on your social messaging apps like Facebook, Instagram, WhatsApp. Whenever you receive messages on any of these apps, the conversation will show up here and you can read your messages from hide without letting your contacts know that you have read the messages or your active. It’s pretty neat and works amazing. You can interact to these conversation and even reply to messages right from this app. Next up is Sound Assistant. This app basically gives you a floating icon to access the sound and its profile. You can program this app to launch automatically when you adjust your volume while using any app. 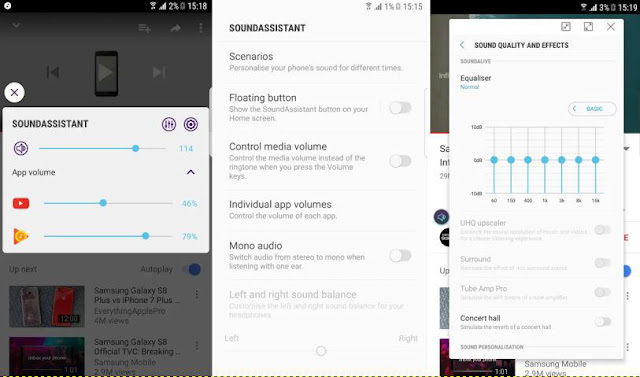 So you can choose the apps where you want the sound assistant to be activated. Now from this floating icon, you can adjust the sound as equalizer settings and different sound profiles makes it really easy as you don’t have to go back to settings and adjust it every time. You can choose apps where you frequently want to address the sound profile. For example YouTube, Music player, etc. And whenever you try to adjust the volume, you get this floating icon and then you can tweet your sound and its profile from the app. 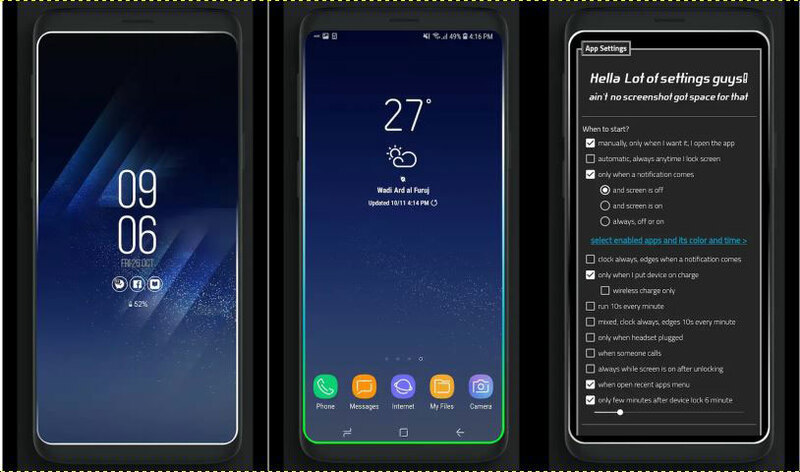 You can customize the floating icon like when to activated, for which apps you want the sound assistant and the floating icon time. The only bad thing about this app is it is not compatible for all the android devices. Next up is Always on Edge, with the Samsung flagships you get as lighting whenever you get a notification. With this app, you get to customize that lighting, meaning you can choose when to enable Edge Lighting as per your preference. You can disable it when the battery is low in widget settings, and you can even customize lighting styles, its color speed etc. Just go to the app to customize your Edge Lighting settings. Definitely a must drive for Samsung users with Edge Lighting. 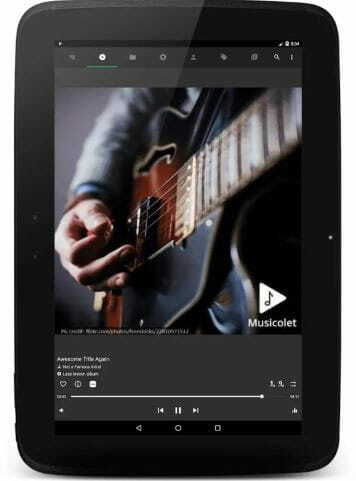 Next up is Musicolet Music Player, that an all round music app with lots of options and features. You can browse through all your music saved on your storage or buy albums names and artists well playing the music you have your regular set of controls here you can swipe up and down for next and previous songs respectively. You can also do this on your lock screen. I found this really cool. Another cool feature is if your song has its lyrics stored, you can view that right from the player itself. Tuning the equalizer is also very easy and detailed and lets you get extra bass and surround effect options. Furthermore, you can set a timer for the app to stop automatically, and you can change settings like customizing the interface accidents when headphones are plugged in with it and lock screen settings. 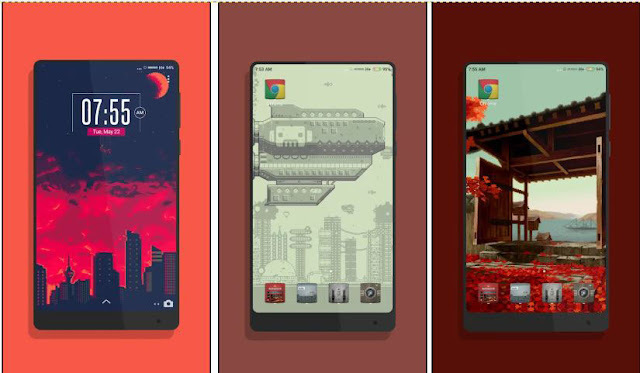 Next in the list is Pixel Art Wallpaper, as the name implies, you get pixel art style wallpapers, all the wallpapers are high resolution and really unique. we get art style, sunset, cities, landscape and some wallpaper looks like they are pixelated version from some games. Let’s talk about this Afterglow icon back, which I recently came across, it’s very colorful, minimal, a little cartoonish, but I like it. It has over 800 Plus icon. It supports almost all the android launchers, this icon pack will surely give a refreshing look to your device. 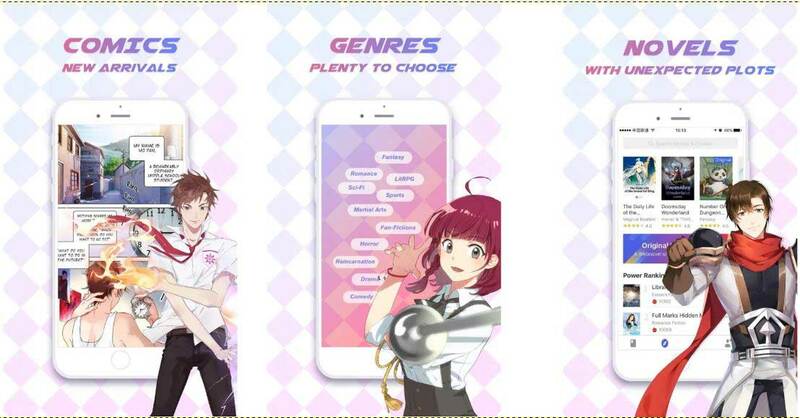 Last but not the least is the Webnovel. As the name implies, this app is for ebook readers and oval addicts. You get to choose categories that you find interesting and then you are presented with the recommendations here. You have your library where all your saved ebooks are present or you can search and browse books from the search bar. What I love about this app is that when reading eBooks, you can simply turn on the audio book mode meaning you can just listen to the narration perfect for bedtime, where you can just listen to these eBooks like an audio book.